The MetroPCS merger vote is less than 48 hours away, but that doesn’t mean Deutsche Telekom isn’t monitoring real-time proxy documents as they come in ahead of the scheduled vote. MetroPCS shareholders unable to attend the meeting are sending in their proxy documents ahead of the April 12th deadline providing the T-Mobile USA parent company a chance to count the ballots as they come in. Given the opportunity to monitor real-time votes, DT will have early warning if the vote isn’t going in their favor and will have a chance to improve the bid according to people familiar with the matter. Deutsche Telekom’s ability to access to the voting number isn’t uncommon in mergers, but it is a little unusual to have them considering exploiting that opportunity at the last possible hour says Jim Kahan, senior advisor with TAP Advisors, LLC. Shareholders aren’t helpless or without their own resources as they too can put pressure on Deutsche Telekom to up their offer says Roy Behren, a MetroPCS shareholders who co-manages a $4.7 billion dollar fund at Westchester Capital. 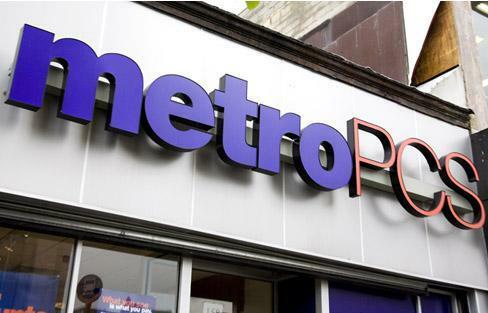 “I don’t know if I’d call it a game of chicken, but as often happens with a proxy fight, you see people wait until the last minute,” said Behren, whose firm filed a lawsuit last month against MetroPCS, seeking a court order from a federal judge to delay the vote. Any shareholder who decides to abstain from voting will have their vote counted as against the proposal according to MetroPCS filings. Investors have until tomorrow evening at 11:59pm Eastern Time to vote by Internet or telephone or attend the Friday meeting in person. While Deutsche Telekom has shown outward confidence it can win the vote without sweetening their offer, there’s at least some reason to suspect they are weighing a sweetened offer if it comes to that. Kahan suggested that Deutsche Telekom could sweeten the deal and address shareholder concerns with some small adjustments. “I’m surprised Deutsche Telekom hasn’t been more pragmatic and sweetened the deal.” Small adjustments to the debt or interest rates might go a long way to appeasing the concerns of shareholders currently weighing against the merger. As for Behren, who plans to vote against the deal, he says that Deutsche Telekom will have to decide if a sweetened offer is in the best interest of everyone. As the clock continues to tick away toward zero hour, the fate of the MetroPCS/T-Mobile merger continues look anything but certain. DT will do what needs to be done to get this through. This is their way out of the T-Mobile debt. They aren’t going to leave this to chance. Guaranteed we hear of a revised DT offer before the end of Friday. Personally i doubt they will have to revise anything. The deal will go through as agreed by 8am Friday morning. This opportunity for Tmo/Metro won’t go by the waste side bank on that. http://www.youtube.com/watch?v=TIvxqUCu41Q Appropriate for this prediction. LOL @ Zero Hour… A recent failed show. Hopefully that doesn’t toward a failed merger.